Bobby and Betty Kirk share life together. 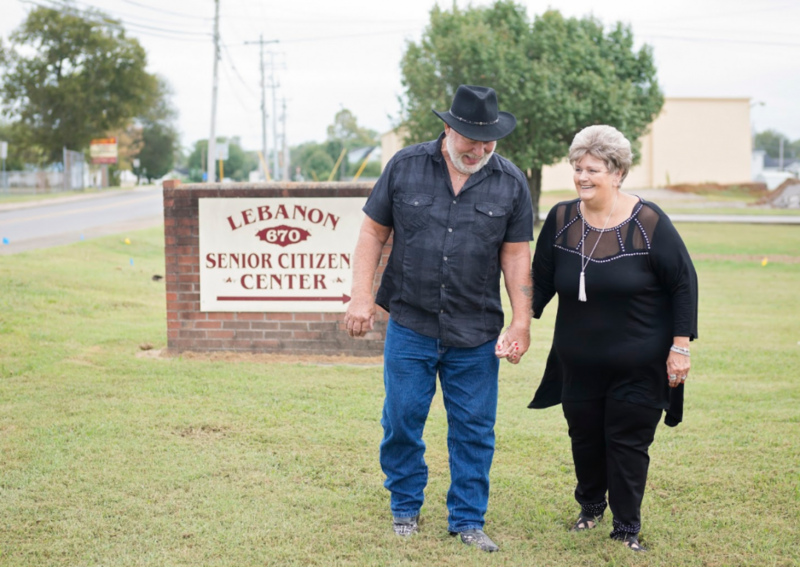 The husband and wife enjoy boating, fishing, dancing, traveling and socializing together with their friends at the Lebanon Senior Citizens Center. They also share a history of joint pain. Both suffered from arthritic joints that had worn away cartilage until bone met bone. So, it’s no surprise that they both came to the conclusion to have total joint replacement surgery at Tennova Healthcare – Lebanon. In fact, the Kirks had a combined four knee replacement surgeries performed at the hospital within a span of just five months. They also shared the same orthopedic surgeon: Jon Cornelius, M.D. According to Dr. Cornelius, joint pain can result from a variety of conditions or injuries. “It can be the direct consequence of a single traumatic event like a fall. Or it can arise from overuse, repetitive trauma or stress to a particular joint or muscle. Regardless of its origin, joint pain can significantly interfere with normal movements, such as bending, reaching, walking and climbing stairs. If joint pain affects everyday activities and prevents you from doing the things you enjoy, it might be time to see an orthopedic specialist,” he says. A retired home health tech, Betty made the decision to have a total left knee replacement in July 2016. She admits she was worried about having surgery, but after meeting with Dr. Cornelius, her concern was quickly replaced with confidence. Three months after her first knee replacement surgery, the 68-year-old mother and grandmother from Lebanon had a total right knee replacement. Seeing how well Betty did — and how quickly she “bounced back” after both of her joint replacement procedures — Bobby Kirk, age 69 and a semi-retired central air conditioning and heating mechanic, chose to have double knee replacement surgery in December 2016. Bobby says he used a walker for about a week post-surgery, and he was back at the gym working out within two weeks of his left and right knee replacements. For more information or to find a doctor, call 1-855-TENNOVA (836-6682) or visit Tennova.com. The comprehensive program at Tennova Healthcare – Lebanon features the expertise of a multidisciplinary team including orthopedic surgeons, anesthesiologists, orthopedic nurses, physical and occupational therapists, and a total joint program coordinator. Tennova Healthcare – Lebanon offers a full range of advanced surgical techniques including total joint replacement, partial joint replacement, resurfacing, and robotic-assisted surgery. To learn more, call 615-443-2560 or visit www.TennovaOrtho.com to sign up for a joint pain seminar. One of the state’s largest health networks, Tennova Healthcare includes 16 hospitals and more than 115 physician clinics. The combined network has approximately 2,600 licensed beds, 2,800 physicians on the combined active medical staffs, and 9,000 employees, with more than 70,000 admissions and 465,000 emergency department visits each year. Learn more at www.Tennova.com.